What is Google duplex and how does it work? Google's CEO Sundar Pichai revealed new features for its products and services at the company’s annual developer conference. There have many interesting features like smart compose feature in Gmail and the integration of Assistant in Maps. The company’s new experimental technology called Google Duplex which lets an AI-powered bot to make phone calls on your behalf. Google showed that such technology exists in this the world and it will be available through Google Assistant in near future. A demo shows how the realistic AI-powered computer voice interacted smoothly with a human to book a haircut appointment. It just shows that how far ahead of Google is in terms of voice-based AI assistants and conversational, natural language processing. Consumers have already used voice assistant technologies such as Siri and Cortana. But Duplex is completely different. It's new process of interaction between human and computer, and it will perform the real-world tasks over the phone such as meeting and appointment booking. The technology will make the conversational experience as natural as possible. It allows people to speak normally with AI bot similarly we talk with a person. Google Duplex will be able to create natural chats with better understanding, interacting, timing, and speaking. 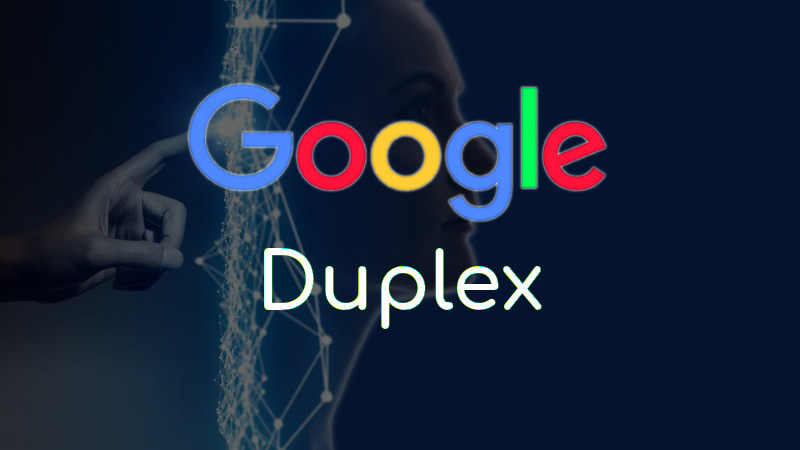 At the core of Duplex is a recurrent neural network that can be trained for highly specialised tasks and it uses Google’s automatic speech recognition technology, so it can interface with the user. WaveNet, an AI-based generative program, is a part of Google’s DeepMind division, Duplex can sound almost closer to a human than ever before. It can be actioned like “umms" and “aahs”. Lillian Rincon, Product Management Director for the Google Assistant said -"It is something that we are really thoughtful about and thinking hard, about how we bring this to market", during a media briefing at Google I/O in Mountain View, California. Cnet tech journalist Bridget Carey tweeted -"I am genuinely bothered and disturbed at how morally wrong it is for the Google Assistant voice to act like a human and deceive other humans on the other line of a phone call. In this age of disinformation, where people don't know what's fake news...how do you know what to believe if you can't even trust your ears with Google Assistant calling businesses and posing as a human? That means any dialogue can be spoofed by a machine and you can't tell." So, let's find out how does this actually work? Duplex would be like giving any other command to the Assistant. For example, when booking an appointment at a salon, you will have to give the Assistant some key parameters to work with, like the name of the salon and the timings you wish to book. If the company or business has an online booking service, then it will book it through that, else it would make a phone call. The Assistant will also check the working hours, so if it’s too early in the day, it will let you know, and suggest booking later in the day. If the booking is successfully done, then you get a notification and a calendar entry, where you can check if the appointment was made correctly or not. Also, Duplex won’t place a traditional call to the business. It will use a different number for this, instead of using your phone number. The Duplex feature is said to be rolling out in the coming weeks in the US as an experiment to normal users. Google will be focusing on a few specific scenarios initially, before expanding it further. It’s still very much an early experiment so its deployment depends entirely on how successful its trial runs are and how people respond to it. We all are quite excited to see how this technology will come out. It could be a real game changer if applied correctly.